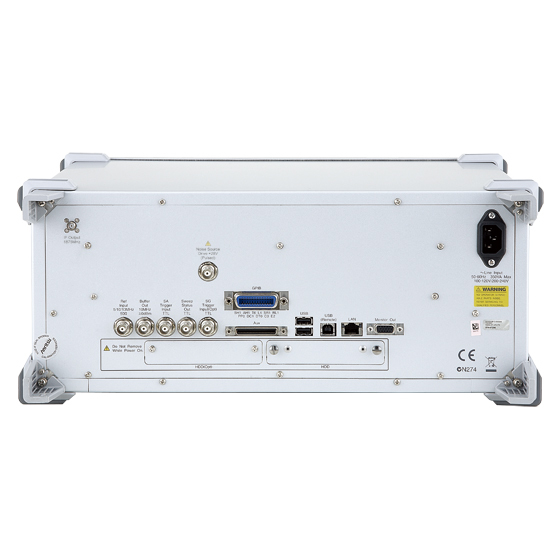 The Microwave Spectrum/Signal Analyzers MS2830A-044 and MS2830A-045 offer frequency coverage to 26.5 GHz and 43 GHz for unmatched value in their class. 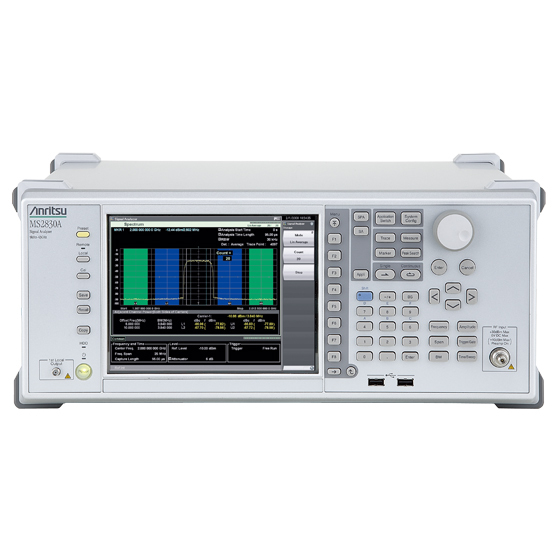 They are compatible with Anritsu’s External Mixer MA27xxC series, enabling millimeter-wave spectrum analysis to 325 GHz. Moreover, with excellent dynamic range, they also support the High Performance Waveguide Mixer options MA2806A and MA2808A for spectrum analysis of millimeter-wave wideband signals. *2: An image response is received when setting the bandwidth to more than 31.25 MHz. Use this when inputting a signal frequency within the MS2830A analysis bandwidth (125 MHz max). The MS2690A/91A/92A is recommended for other measurement purposes. *3: Select MS2830A-005 for the 26.5 GHz model (MS2830A-044) and MS2830A-009 for the 43 GHz model (MS2830A-045). The MS2830A is a spectrum analyzer, signal analyzer and signal generator with top-class measurement speed at medium-class price. Anritsu's leading test solutions support communications in every technology field, ranging from core to metro networks and mobile backhaul infrastructure to mobiles, devices, electronics and communications equipment. This video introduces the MS2830A’s Spectrum Emission Mask function and its usage benefits, as well as walks the viewer through the setup and reading measurement results processes. This video introduces the MS2830A’s Spurious Emission Measurement function and its usage benefits, as well as walks the viewer through the setup and reading measurement results processes.